The season has begun! Whether you’re a rep soccer or rugby player, or a desk worker who dabbles in the weekly game of Oztag, it’s great to be back on the field and playing your favourite sports after a long offseason. Unfortunately, this is also the time of year where the most sports injuries tend to occur. This can mainly be attributed to a sharp increase in training and playing, without a sufficient amount of work done in the offseason to prevent these injuries from occurring. Here are a few things you can do over the rest of the season to increase your chance of staying fit and healthy. A weights, bodyweight, or banded resistance session will go a long way in reducing your injury risk. In fact, a study in 2014 showed that regular strength training decreased your overall injury risk by approximately 70%. Great bodyweight exercises you can do at home include squats, lunges, calf raises, and push-ups. If you’re unsure about where to start, we offer exercise classes for both adults (CET classes Monday, Tuesday, Wednesday, Thursday, Saturday) and kids (Youth Strengthening classes Monday & Thursday). Nothing is a greater shock to the system than going from sitting for 8 hours at work, to sitting for 30 minutes in the car, to sprinting full pelt in an attempt to score a try. Warm-ups are essential to decrease your risk of a muscle strain. Start slow with a light jog around the oval, and build up to quick sprints over a total period of about 20 minutes. Some sports have an official guide to how to design a good warm up with the best chance of injury prevention. It is crucial to make all exercises as sport-specific as possible. In other words, if your sport has lots of sprinting and changing direction, then you need to train your sprinting and ability to change directions quickly. If your sport relies on jumping, it is essential to incorporate plyometrics training into your week. This can be broken down even further into positions. For example, a netball Centre will need to be able to run up and down a court for 40 minutes, with bouts of jumping, landing, and directional changes, whereas a Goal Shooter will need to be able to jump, lunge, and pivot at speed. Training and warming up in a manner consistent with how you will be playing is the best way to ensure that your body is prepared for game day! If you’re struggling to find the time to exercise, incidental exercise is always a great option. Take the stairs instead of the escalator, or park a 10-minute walk away from work. If you can get more movement throughout the week, you will be better positioned to play well when it matters, and reduce your risk of shocking the system too much when you step onto the field. Finally, make sure that after your game, you recover well. Adequate sleep, nutrition and hydration are the mainstays of optimal recovery, so drink, eat, and sleep well, so you’re ready to tackle the next week! Lauersen, J. B., Bertelsen, D. M., & Andersen, L. B. (2014). The effectiveness of exercise interventions to prevent sports injuries: a systematic review and meta-analysis of randomised controlled trials. Br J Sports Med, 48(11), 871- 877. Hamstring strains are an indirect hamstring injury very common in sports involving jumping and sprinting. They are a very common injury and have an extremely high recurrence rate of 12-31%. The hamstring consists of 3 large muscles making up the posterior thigh. They attach to both your hip and knee therefore working to bend your knee and also extending the hip. They have a very important role in walking and running as well muscle actions in sport such as jumping and kicking. They are therefore injured performing these movements, either being damaged when sprinting during the late swing phase or over stretched when kicking or jumping. Physiotherapists are trained at identifying any biomechanical faults that would lead to an increased load placed through the hamstring muscles. If you have had a previous hamstring injury and did not undergo a rehabilitation plan then you are likely to be more susceptible to re injury. Hamstring strains are broken into grades, ranging from a small amount of fibres torn to a complete tear of the muscle. The higher the grade the more pain and weakness. To ensure a quicker return to sport and reduce the likelihood of re-injury then an individualised program should be commenced shortly after the injury has been sustained. A program should consist of a graduated strengthening program which is targeting the goals and needs of the patient. Manual therapy can also be used effectively to alleviate pain and promote movement. StIvesPhysiotherapy is excited to be introducing Pilates Matwork classes, run by physiotherapists, to our class timetable in 2017. He was determined to overcome his weak physical state and began experimenting with a number of different methods of exercise. He practiced yoga, gymnastics, skiing, self-defence, dance, circus training and weight training. By the time he was 14 he had developed his body, strength and fitness to the point that he was modelling for anatomy charts. In 1912 Pilates moved to England where it is reported he became a boxer, circus performer and self-defence instructor for detectives at Scotland Yard. When World War I broke out, he, and other German nationals were interned as “enemy aliens”. It was there he instructed other inmates in physical fitness and his exercise regime, helping them maintain their health and fitness while incarcerated. He even devised exercise equipment using bed springs and attaching them to the walls above sick inmates’ beds, allowing them to exercise when lying down. 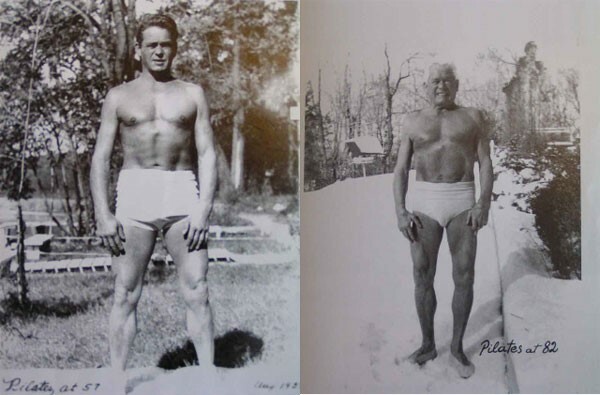 After the war, Pilates returned to Germany and began training the Hamburg Military Police. In 1926, he immigrated to the United States. On the journey across the Atlantic, he met Clara, a nurse, who became his wife. “We talked so much about health and the need to keep the body healthy, we decided to open a physical fitness studio,” said Clara. This was when the dance world would become exposed to Pilates’ teaching methods. 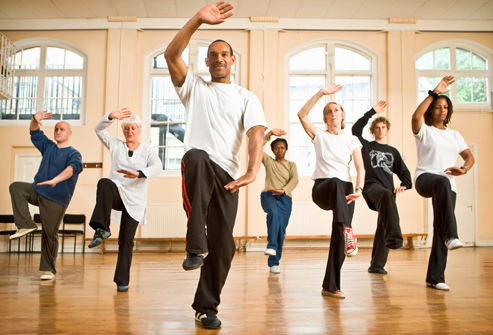 The studio was in the same building as several dance studios and rehearsal spaces. This proximity made “Contrology” an intrinsic part of many dancers’ training and rehab work. George Balanchine, the famous choreographer, studied with Pilates and sent many of his dancers to him for strengthening and balancing as well as rehabilitation, as did another famous dancer and choreographer, Martha Graham. Joseph and Clara continued running their studio together until his death in 1967 at the age of 87. Clara then continued to teach for another 10 years until her death, and then the studio was taken over by one of their dedicated students, Romana Kryzanowska. 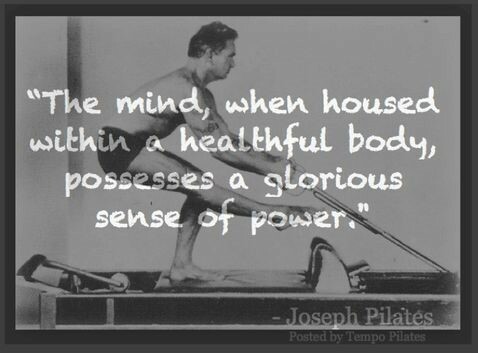 ​Over the years, students of Pilates began opening their own studios and by the 1970s Hollywood celebrities discovered Pilates via a studio in Beverly Hills. Now with a celebrity following, the media began to pick up on and cover Pilates and the public took note. No longer just the workout of dancers and the elite, Pilates has entered the fitness mainstream. Why do Physiotherapists Use Pilates? What is Clinical Pilates? Clinical Pilates is a form of physical exercise that focuses on posture, core stability, balance, control, strength, flexibility, and breathing. These days, Clinical Pilates is often used in conjunction with physiotherapy as a means of treating a variety of injuries, particularly those of the neck and back. This is based on literature that demonstrates strong evidence to support the use of therapeutic exercise in the management of patients with injuries, particularly low back pain. Recent research advocates the retraining of the deep stabilizing muscles for patients with low back pain. Clinical Pilates focuses on the retraining and recruitment of these stabilizing muscles (core stability) as well as improving posture, strength and flexibility. Although Pilates can be extremely beneficial for patients with certain injuries it needs to be specific to the individual and not used as a generic tool for everyone. Clinical Pilates (as distinct to generic Pilates classes) identifies this key issue by applying carefully selected exercises to patients with specific injuries. This ensures optimal gains whilst minimizing the likelihood of injury aggravation. If you are interested in commencing Pilates for your injury, it is essential to have a review with a physiotherapist to assess the suitability of a core stability program for you. Pilates Institute of Queensland Course Book, Jenny Birkel, 2009. The Complete Guide to the Pilates Method, Allan Menezes, 2006. 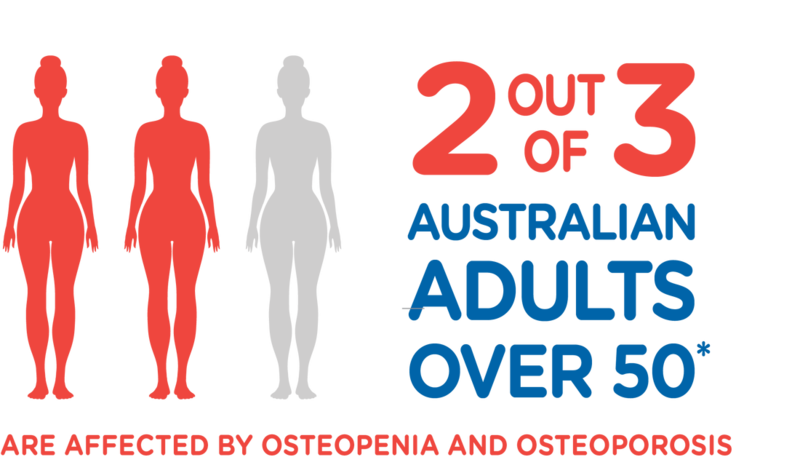 Osteoporosis is a common disease in Australia with 1.2 million people estimated to have osteoporosis and a further 6.3 million with low bone density. This disease makes bones become more brittle leading to a higher risk of breaks than in normal bone and is caused when the bones lose minerals (such as calcium) more quickly than the body can replace them leading to a loss of bone thickness and density. Osteoporosis usually has no symptoms until a fracture occurs, which is why it is often known as “the silent disease.” Osteoporosis can occur in any bone, but is commonly found in the wrist, spine and hip. Fractures in the spine as a result of osteoporosis can result in height loss and changes in posture. For people with osteoporosis, preventing falls is vitally important as even a minor fall may cause a bone fracture. Physical activity does not promote weight loss: for real? In recent times, there has been much debate about whether physical activities such as regular exercises help with weight loss. This has been the case due to a report which concluded that physical inactivity is not related to obesity. Rather, bad diet has been attributed to difficulty of weight loss. They support their statement from evidence that in the past 30 years, the self-reported physical activity times have not changed but the weight has increased dramatically, therefore suggesting that diet must be the cause of the weight gained. The reason for why this has caused some stir in the literature community is because it is widely accepted that physical activity is directly associated with weight control. You may be asking, why is there a blog about weight loss in a physiotherapy blog? This is because obesity or increased weight is associated with not only with cardiovascular disease, type 2 diabetes, dementia and cancer, but things like low back pain, hip issues and knee problems. So, if we can help reduce a patient’s weight problem, we have a hope of a better outcome for one’s physical issues. When you combine lots of research together, it is still very clear that physical activity DOES affect weight loss. It seems as though when a research finding goes against the grain of the usual findings, they end up well publicised. This is exactly what happened with this research. The authors based their physical activity level changes in the past 30 years from self-reported ‘leisure-related’ activities. This does not take into consideration the changes that have occurred in terms of our modes of transportation, the types of occupational roles and the changes in business activities in general. When you take out a chunk of crucial factors, the equation becomes very biased, leading to an incorrect conclusion. We suggest, please, continue to spend time being active as per recommendation from our Australian Department of Health. I.e. accumulate 2.5 to 5 hours of moderate intensity physical activity in a week. Also, when you read popular articles or statements via social media, and it sounds controversial, please talk to your health professional. They will be able to organise a thought based on a more holistic set of scientific literature out there. In many cases, ‘core stability’ is associated with strong abdominal muscles and the ability to withstand minutes of ‘plank’ position. 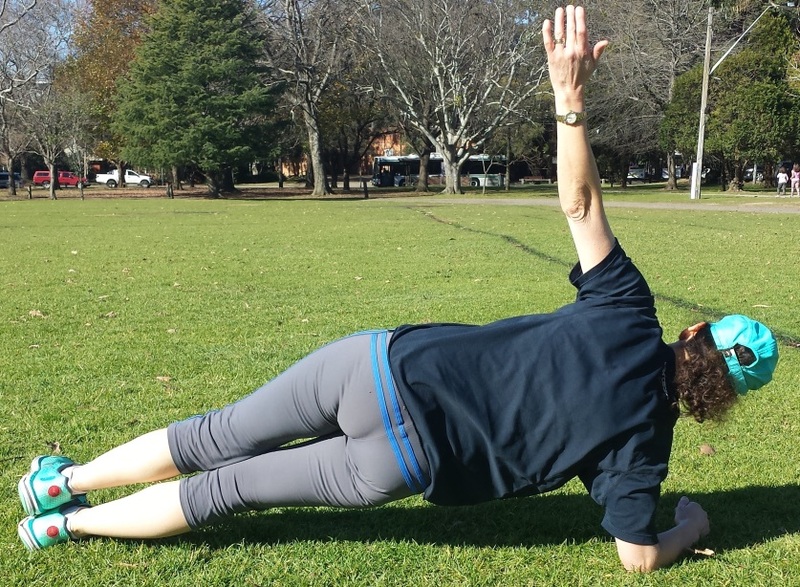 In fact, core stability refers to the ability of all the muscles surrounding the trunk and hip to work together to allow stability (or stiffness) of the trunk in response to changes that occur to the spinal column. There is a link between poor core stability and musculoskeletal issues of the spine, hip, knee, ankle and foot. Hence, it is thought that improving one’s core stability will consequently improve one’s musculoskeletal problems. In a recent study from the British Journal of Sports Medicine, a study looked at the effectiveness of core strengthening in a supervised setting vs. unsupervised home exercise program vs. control. The program was over 8 weeks in total and participants committed to 2 sessions per week. The supervised group physically attended these sessions with a therapist, whilst the home exercise group were taught how to perform the exercises at the beginning of the program for them to carry out at home. The control group was asked not to change any of their physical activity levels throughout the 8 week period. Every participant went through a series of tests which measured their baseline core stability. These tests were repeated at the end of the 8 week period to compare the efficacy of the strengthening program. We recognise that having good core stability is only one part of your overall wellbeing. However, this specific component may be the crucial factor in improving your condition. So, if you want to improve your core stability, we highly recommend that you have your baseline measured, and then get on to an 8 week program of 2 sessions per week, where you physically attend the sessions run by your qualified health professional. 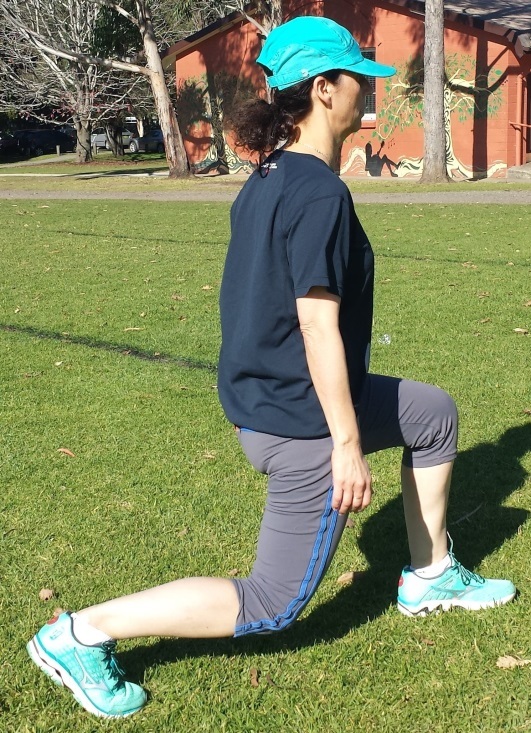 How important is balance retraining following an ankle injury? The most common sports-related injury is ankle sprain. If you are or have ever been involved in any sport requiring jumping, pivoting or quick directional change, there is a high chance that you may have ‘rolled’ your ankle in one way or another. 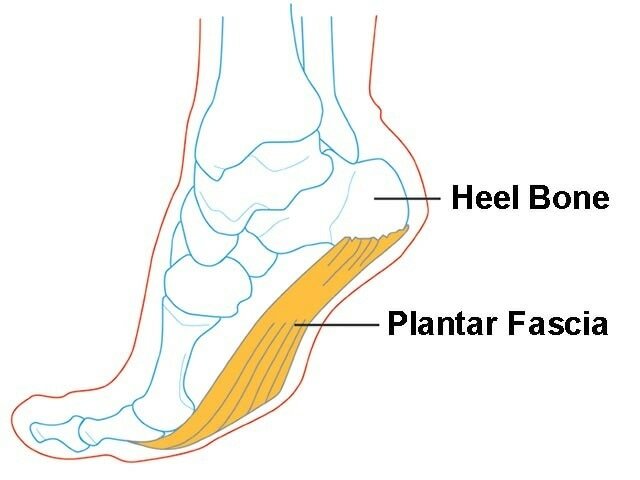 The most common way the sprain occurs is with foot inversion (sole of foot facing inward) and plantar-flexion (sole of foot facing backward). Ankle sprains usually lead to pain, swelling and restricted foot movement, and subsequent lower limb dysfunction. The spectrum of severity varies significantly depending on the context of incident. Also, depending on assessment and rehabilitation, symptoms may persist from anywhere between 6 weeks to 18 months. There is evidence showing that the risk of recurring ankle sprain is doubled in the year post initial injury. This is believed to be a result of compromise to proprioception in the injured site. Proprioception is basically the internal awareness of body/joint position and movement. The fact that you can point your index finger to your nose while closing your eyes is dependent on proprioception. It becomes more crucial when you are pushed in mid-air, and need to land on ground without having to think about your ankle position. In the physio clinic, we often come across patients who stop their rehabilitation because pain stops affecting their life, without recognising their proprioceptive functions are down. It has been shown in a recent study that properly directed proprioceptive exercises significantly reduce further recurrences of ankle sprains. So what are these exercises? You may have come across wobble boards, ankle discs, balance pads etc. These are a great start, but you need to make sure exercises are progressed to meet your functional/sporting requirements. Here is a quick test that you can try at home: Stand on one leg in front of your kitchen counter. Close your eyes. How steady are you?